My DUI trial ended today. I couldn't have imagined a better outcome. I was getting my BA degree when my license was revoked for three years. My school was 30 minutes away it would've been too expensive to use Uber. I had no choice but to drop out. I thought my life was over and I'd be forced to work menial jobs. Thanks to attorneys Waldbaum and Dunn, I have a new lease on life and feel like the world has been taken off my shoulders. if you find yourself backed into a corner and your world is crumbling, reach out to Joe and James. I can't thank both of them enough for the work they did over the past year. "I can't thank them both enough. In 2013, Joe beat a prior 2nd offense of mine and also overturned my three year refusal suspension so I could drive legally while the case worked its way to trial. He won that trial as well despite a bad accident. Then five years later, he did it again. Attorney Dunn came to my house to deliver the order restoring my license because they didn't want me to have to get to the courthouse myself. You just can't beat these two guys." If I can't pick up, leave your number and I promise I'll call back. This letter is written with gratitude, appreciation, admiration, and respect. Going back to October 17, 2016 that early Sunday morning my life took a turn for the worst and my family was facing certain turmoil. Having been arrested for my 3rd OUI and placed into custody during the early morning hours, and unsure of where I was to turn. I sat at the police station until I was to be arraigned at court. Having posted bail, I was facing a slew of charges with one being a felony which comes with a mandatory 6 months in jail. I went home and started googling best OUI lawyers In Massachusetts. I came across your website and was impressed that you had all these referrals of past clients along with actual videos. I reviewed several of them and I also reached out too a few. When I decided to reach out to you by phone I received an immediate call back within minutes. We discussed my case and you gave me an insight of what we would be facing and the challenges it would be because of it being my 3rd OUI with a Felony implication. Having been stressing about the potential repercussions for my actions, I decided you were going to give me the best shot at defending me. Since day one you were there for me and my family. You stood beside me, helped me through a most difficult process with patience, understanding, and explained every detail to me so that I could understood the process, court proceedings, and outcome. Everything was exactly as you said it would be, and I couldn't have been more pleased with the outcome. Attorney Waldbaum was able to suppress my breath test which was a big win for us before trial. Then we went to trial and Attorney Waldbaum worked like a true professional in the court room and was able to get the jury to find me “Not Guilty”. When I heard the verdict, I started to get emotional as I am now able to resume my life, my career, and most importantly bringing closure to this for my family. I would also like to point out that during these past 18 months. I had another circumstance surfaced in another court during July 2017, and once again you were there for me with undivided attention, and time. All resolved well, and we avoided jail time and fines. Once again, I thank you. In today's time and turmoil, it is truly rare to find an individual to be so knowledgeable, honest, and integrity not compromised. A rare asset “a gem” to the profession. For anyone seeking legal counsel. I say go no further then Attorney Joseph Waldbaum. Attorney Waldbaum is able, dependable, and if all possible will help to resolve your situation. A fine gentleman indeed! "After my arrest, I didn't know what to expect in court but Joe and his associate attorney James Dunn eased every step of the way for me with informative emails and their calming presence in the courtroom. He was able to overturn my refusal suspension while the case was still pending so that I was able to drive legally all that time. He's very smart and most especially he treated me as a friend. Prospective clients may call me @ 603.682.5557 to verify: Linda"
'HE'S VERY SMART & TREATED ME LIKE A FRIEND." "THANK GOD THERE ARE PROFESSIONALS OUT THERE LIKE YOU"
Yes, it absolutely was the worst night of my life. But two weeks later, thanks to your expertise, the case was over and I was eligible for a hardship license again. I also thank attorney Dunn for his reassuring presence. I salute you both. You apparently do know all the courts and all the players and definitely put me at ease from day one. Thanks for your help on this. Please feel free to have any of your clients call me for a testimonial on your behalf. Joe handled two OUI cases for me and obviously knew exactly what he was doing in each Court. I didn't think I had any chance whatsoever of beating the three year refusal suspension but he guided me through the complex process at the RMV and in Court and he was right all the way. He saved me three full years with no license at all and three years with an expensive, embarrassing breathalyzer in my car. Thank you for representing me in court this week. Your professionalism and preparedness was something I was extremely impressed with. All the documents you prepared for me not only eased my concerns along the way but gave me an organized approach heading into court. If I ever have friends or family in a similar situation, I would definitely recommend you as their defense attorney. Thanks again. I couldn't believe how hard Attorney Waldbaum fought for me in Court. Plus, he never left me in the dark. He kept emailing me about everything he was doing for me. And he just kept fighting till he got my license back. I can't recommend him highly enough. Now I can go back to work. I really enjoyed working with you and attorney James Dunn. You were both extremely helpful and very professional. This was my first time in court other than jury duty so I was very nervous and stressed before I contacted you. You explained the process thoroughly for me and made it a lot less stressful than it would have been. Both of you were always very responsive to my messages and got back to me promptly. I have been very impressed with what you have done for me and I am really glad that you represented me. You were fantastic! I can't believe I'm actually able to drive to work 4 days after one of the biggest mistakes of my life. You were very honest with me from the start. I have my life back. I'd hire you to represent me again in a heartbeat, but that won't happen. I'll never make this mistake again! Thanks for everything Joseph. On top of all you did for me in the court room, the fact that you continually checked in with the RMV after my final court date was unbelievable This was a hard, emotionally taxing period for me, and the services you provided were top notch. Plus I reached you on a Sunday via cell and how quickly you got me out of court on the first date when I had my fire fighter physical at 1 pm, and all the hard work you put in is a blessing. I will never be able to thank you enough. I thought all was lost for me reaching my life goal of becoming a fire fighter, all the years of hard work gone out the window, and you made it possible for me to keep that dream alive. I hope to see you again but this time outside of a courtroom. All the best to you and your family. I had been suspended years previously but had been driving without a license. When I was arrested again, I faced the possibility of mandatory jail time and additional license loss. Joe obviously knows all the ins and outs as well as all the players in this field. He managed to get the criminal charges dismissed and got me found "Not Responsible" on the civil charges as well. He saved me from all sorts of consequences, further fines, fees and license loss. I would be honored if you would use my words on your website. I truly meant what I said. You are a fantastic lawyer and an even better person. You may also use the phone number I gave you. Once again, thank you for everything. "PROMPT, COURTEOUS, CARING AND DIRECT"
This letter is written to express my deepest gratitude and utmost respect for Joseph Waldbaum. Mr. Waldbaum displays the highest level of proficiency and knowledge in his line of work. He is prompt, courteous, caring and direct. In times when one needs guidance in a situation that may have serious consequences, his professional standard is unequivocally supreme. Attorney Waldbaum clearly knew what he was doing and did a wonderful job assisting me. The fact that he works specifically with OUIs means that his knowledge and understanding of the laws regarding your case is top notch. I know I could never have navigated the process the way he helped me do without him I highly recommend Attorney Waldbaum and would rate him as high as possible. Thank you very much for your assistance with my case. I don't know what I would have done without you. You made the worst choice of my life go from devastating to OK in a matter of days. Your associate attorney James Dunn was great in the courtroom as well. I will never be able to express my full gratitude. However, should I know anyone who gets into this same predicament, I will be sure to pass your name along. Please feel free to use me as a reference as well. Thanks again, Joe! "HUGE MISMATCH OF JOE OVER THE DA"
Joe is extremely knowledgeable and professional and passionately defends his clients' best interests in Court. Thanks again, Joe. I am very pleased at how you represented me throughout the entire process. There was a Warrant out in Massachusetts for my arrest based on an old OUI. It finally caught up to me and NH suspended my driver’s license. I called Joe at 8 am on Monday and he answered the phone himself. Somehow he managed to locate the old paperwork and then had the case heard Tuesday. After he convinced the young DA they couldn’t prove it, they dismissed all three charges. I had my license back by two pm just a little over 24 hours after I called him. I’d recommend him to anybody. "YOU BROUGHT CLARITY AND ORDER TO A VERY EMOTIONAL SITUATION"
I wanted to take a moment to thank you for your help with our daughter's case. We really appreciated the way that you spelled out what to expect each step of the way, even, (or especially), the small details of how the pre-trial dates in Court would go. You brought clarity and a semblance of order to a very emotional and troublesome situation. While I hope we never need to rely on your services again, we are glad to have had the chance to get to know you. Thanks again. "I WAS IN SERIOUS TROUBLE, HAD A WARRANT OUT FOR MY ARREST AND AN OUTSTANDING OUI IN MASSACHUSETTS"
I called and spoke to 3 DWI Lawyers recommended by the Massachusetts Bar Lawyer Referral Service and didn’t like any of them. I then called 2 additional lawyers I found on the internet and didn’t like them either. They all seemed incompetent or interested only in how fast I could send them money. I eventually realized that I needed to hire somebody that specializes in OUI cases. The problem was I live in LA, and there was no one I knew in MA to call to ask for references. I wanted to find out who the best MA OUI attorney was, so I computer searched - MA OUI reviews. That’s when I saw Joe's website. I read every single review, all written by his former clients all talking about what a great job he did. I’m writing this now to say what a wonderful job he did for me also. In addition to the phone calls, he emailed me numerous times to keep me updated on my case. It would be my pleasure to tell you more about this outstanding Mass. DUI Lawyer. Email cabana62055@mypacks.net with questions or let me know the best time to call you back. Thank you again, Joe. E.J. AND STAYED IN CONSTANT COMMUNICATION�WITH ME. Because of his honesty and candid conversation about my options and his refusal to provide me with legal advice without knowing all the facts first unlike other OUI lawyers I had spoken to. "HE CLEARED ME OF ALL CHARGES. HIRING THIS MASSACHUSETTS OUI LAWYER WAS THE BEST CHOICE I EVER MADE"
Facing my 3rd offense and mandatory jail time, I filled out the “Instant Free Consultation” and in minutes my phone rang. Joe knew all about Melanie’s Law and immediately put my mind at ease. He kept me informed and copied me on all the legal documents he filed. Compared to the other two attorneys for my previous arrests he was the hardest working. 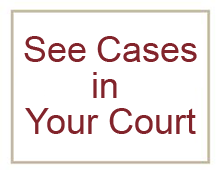 Instead of saying plead it out,�this DWI Lawyer�cleared me of�all charges and gave me my life back. I can’t thank Joe enough for everything he’s done. When I was charged with my 2nd offense OUI, he actually won 2 cases for me! Because I refused the breathalyzer, the RMV hit me with a three year refusal suspension. Joe went to the RMV with me to appeal the suspension, then filed a suit against the RMV and won. I got my license back immediately! I was amazed that he knew virtually everyone in the courthouse. He is well liked and respected by all; the judges, the DAs, police, everybody! It was evident that he has a good reputation within the legal community. He possesses charisma and character and knows how to use both. He was able to break down all of the facts in such a way that I understood what type of a situation I had before me. He never moved forward until I understood all of the aspects of the case. At my OUI trial several months later, he strategically ordered a bench trial rather than a jury trial. At the trial, he picked apart every inconsistency between the officers’ testimony and their written reports. His questioning made their heads spin. He left no doubt in the judge’s mind of my innocence and got me a ‘Not Guilty’ Verdict. If you are looking for a Mass. DUI Lawyer that is honest, ethical, diligent, and experienced, call Joe Waldbaum! As an out of state driver, I faced suspensions in both states, not just Massachusetts. Joe told me what to do to avoid this and guided me through the complex process of getting legally licensed again. Everything he told me to do was absolutely right. I can’t recommend him highly enough. I was ready to take the First Offender Deal but after speaking with Joe I was convinced he could win my case. He provided me with valuable advice without ever pushing his opinions on me and scheduled a trial just 6 weeks after my arrest on a date he knew the judge on duty to be the most lenient. When two police officers came instead of one, he quickly reacted with a Motion to Sequester so they couldn't speak and tell each other what they said in the Court room. I was found Not Guilty and had my license reinstated the same afternoon. Then he followed through and made sure I had all the documents and direction I needed. I recommend him without hesitation. It is so nice to be able to drive again. "My prior OUI was 20 years previously but it was still my 2nd offense. Under the new law, I was entitled to be treated as a first offender once again. The Judge had evidently not heard of the new law and wasn't willing to do this. Joe reached into his briefcase and handed the Judge a copy of the new law and a recent case directly on point. After reading these, the Judge realized he was mistaken and did exactly what Joe asked for. "I got an immediate hardship license instead of a 5 year license loss." 'FACING A 12 YEAR SUSPENSION, HE GOT ME A WORK LICENSE IN JUST 2 MONTHS. Don't even bother talking to another OUI lawyer. My wife and I can't express how grateful we are to Joe: he saved my freedom and our livelihood. I had one prior OUI conviction and 3 others where I'd gotten off. The RMV had suspended me for 10 years. Joe found a Judge he said might treat me as a first offender again. Just as he predicted, the Judge did so. And he saved me almost $2000 in fines! Joe avoided the mandatory jail sentence for my 3rd offense. I truly recommend him for his expertise and character." "YOU ARE GREAT AT WHAT YOU DO"
Thanks for your help - this whole thing has been a mess for me but I'm sure I brought it upon myself. You have proven to me that you are great at what you do. Hopefully I won't need to but I'll make sure to recommend you to anyone who might be in need of your services. I've already mentioned your name or shown your web page to numerous people. R.B. Do not hesitate. If you have Joe on your side you definitely stand a fighting chance. He will help in some manner – guaranteed. He is thorough with every phase and you will be 100% pleased. His presence alone holds weight - I could see he was highly respected by all in the court room. He is straightforward with cost and worth every penny. Puts everything in writing and explains in detail what he is doing every step of the way. Plus, he makes you feel more at ease - which helped with the stress factor. I have been in court with other lawyers who I thought were good until I saw Joe. Just do it. "HE DID A FABULOUS JOB"
"Mr. Waldbaum did a fabulous job in representing me. He was always very professional, very thorough, and most importantly, gave me extremely good advice." "I CHOSE YOU TO REPRESENT MY WIFE"
"We spoke earlier this week regarding my wife's recent OUI. After speaking to a few different attorneys, I have selected you to represent my wife in court. I'll give you a call on Monday to start the process." "ARTICULATE, RUTHLESS DEFENDER, NEVER MISSED A BEAT IN THE COURTROOM"
"Thank you for giving me my life back with the not guilty on the OUI after the cop caught me speeding. You are magnificent in the courtroom and it is easy to see that this comes from your hard work and dedication outside. You are the most passionate and articulate lawyer I have ever met. Your attention to detail and high motivation kept you ten steps in front of the DA at all times. This, combined with the respect and professionalism you show towards everyone in court makes you a most effective defender. 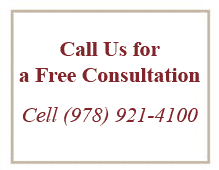 I will continue to recommend you to anyone in need of a Mass DUI Lawyer." "I FELT SUPPORTED WITH WISDOM, A GREAT AMOUNT OF REASON AND WIT"
Attorney Waldbaum helped keep my anxiety level in check during this humiliating life event. His methodical reviewing of facts and setting of my expectations as he went through my case allowed me to sleep at night. I felt supported with wisdom, a great amount of reason and wit. "What he said would happen, happened exactly as he said it would." I was brought to another police station to do the breath test and failed it with a.16. Joe insisted on getting all the discovery about the second police station but the DA kept stonewalling. When he finally got it, he noticed that I couldn’t have been at the other station for the required fifteen minute observation period. He went to court at least 8 times because the Hearings kept getting continued or the Judge forgot to write his decision. He didn’t charge me any more money than his flat fee for all these court dates either. Ultimately the judge decided against us and even though Joe said I had an appealable issue I decided to accept the first offender deal instead. Thank you for all the good counsel and advice, especially all your detailed reports. They made a very complicated legal situation a great deal clearer. You are more then welcome to put my first name and phone number on your website. I would be happy to recommend you to any prospective clients. truly pleased with the outcome. After hearing the District Attorney go on for it seemed like a lifetime... I was resolved to the fact that I was going to be charged with a felony. But when the Judge read the verdict, my mouth dropped. I wasn't sure I heard it right, but I guess I did. I hope I showed you appreciation outside the courtroom. I was just so elated I wasn't sure I had. Thank you again for everything! Hi Joe, Can't thank you enough for everything you've done for Bob, myself and our daughter, Maddie. It's a very good day. You're not good...you really are the best! I have a few of your business cards and I will definitely hold on to them in case I ever hear of anybody needing your services. "In my field, having a license is the most important asset. Without it, I wouldn't be working for a news station now (or any news station for years to come). You met me at the site of the arrest on a Sunday morning, made a video and took photos and used them all at my Jury Trial. Your hard work and determination paid off ." I was clocked speeding 100 mph in a 40 mph zone and searched the Internet for lawyers. In addition to his fine website, Joe called me right back and gave me more valuable information – much more of it – than all the other attorneys I spoke with combined. Hiring him was a no-brainer. which saved me over $600 in fines! "The State Police recommended Joe; the trooper actually gave me his name." "HE CHANGED MY MIND ABOUT LAWYERS"
"He cared so much about my case; he completely changed my mind about lawyers." "After being arrested for OUI and speeding, I wanted to fight it and ran an Internet search to find lawyers that specialize. I interviewed several but none of them seemed as confident as Joe. He got me to Trial in less than two months, which was unheard of by any other lawyer I spoke with. I was found Not Guilty allowing my license to be restored immediately. Because of Joe, I was able to put this situation behind me quickly." "I couldn't believe how quickly you returned all our calls and e-mails. I have nothing but the highest praise for how you handled my husband's speeding case. You were extremely conscientious, professional, and supportive. The circumstances surrounding his arrest were far from in his favor, yet somehow you managed to get it resolved favorably. Please feel free to post any of the above information on your website." 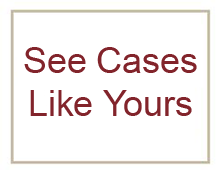 I recommend�Joe to anyone looking for a solid, knowledgeable (not to mention personable) lawyer. "I am ecstatic at the outcome you negotiated on the 7 charges I faced. I had resigned myself to a series of outcomes - none of them as good as what you've produced. You were always available to speak with and you answered all my questions (sometimes repeatedly). Very professional." "The Judge told Joe under Melanie's Law we couldn't tender a Plea at Arraignment. When Joe told her there was no such provision and asked her to cite it, she told him to look at the statute himself. After reviewing 23 pages and again telling her it's not in there, she angrily said she'd find it herself. Red-faced, she returned to the bench 20 minutes later saying 'You're right, Counselor, let's proceed as you requested.' "
Just because a Judge tells you something doesn't mean you have to agree with it! I Googled best OUI lawyers in MA and Attorney Waldbaum’s name appeared on the top of the list. After researching other lawyers, I decided to hire Attorney Waldbaum based on the fact that he had won 75% of his trials and also the feedback received from some of his previous clients. He immediately returned my phone call and was very upfront from the start, from cost to what to expect. I was very impressed. He kept me informed from beginning to end, did his due diligence and always responded immediately to my emails, texts, and phone calls. He acts extremely fast. He even moved my court date up and got me back on the road a lot sooner than expected. I highly recommend him. "HANDS DOWN THE BEST DEFENSE LAWYER IN NEW ENGLAND"
"Our son had been arrested at three AM and had to be in Court at nine AM. We submitted a question on your website at 7 AM and you called back 2 minutes later. It was pretty respectful and made us feel you cared." HE DOESN'T MAKE PROMISES HE CAN'T KEEP"
I was charged with my 2nd offense and failed both the field tests and registered over limit on the breath tests. I called Joe and he had a very comforting manner and was calm and courteous on the phone so I hired him immediately. Somehow, he got me a not guilty after Trial. Keep his card in your wallet! I owe him my world and my kid's world. "JUST LET HIM DO THE TALKING"
Labeled as an "immediate threat," I faced a life-long loss of my Massachusetts driving privileges for driving under the influence of prescription narcotics. Joe successfully guided me through the overwhelmingly complex process both at the Registry and in Court, All I had to do was sit back and let him talk. "If you are looking for a warm and fuzzy lawyer, Joe is not your man. If you need an extremely competent lawyer, Joe is. I was in deep distress after my first OUI and had absolutely no idea what to do. This was the first time in my life where I felt like I had no control. Joe took control and led me through the process. Immediately things began to fall into place. He walked me through everything, retrieved my RMV record online, analyzed the police reports and breath test printouts and gave me a full road map on what our next steps should be. Long story short, I followed all his advice the result was much better than I imagined. I was able to get my hardship license and get back on the road quickly." 'DO YOURSELF A FAVOR, CALL HIM." Joe did a wonderful job assisting me in my OUI case. I felt VERY confident the minute he picked up the phone that Sunday morning after I literally had the "worst night of my life." He was even able to get two of the three charges dropped. I was happy with the quick outcome of my case and got back on the road in a few days following his detailed written instructions. I would recommend him to anyone. R.H.
JOE WALDBAUM WORKS MIRACLES AS A MASSACHUSETTS DUI ATTORNEY! "My husband was stopped for his 2nd offense, refused the breathalyzer and automatically suffered a three year refusal suspension. Mr. Waldbaum worked tirelessly. He went to Court, filed and argued Motions, gave us expert advice, visited the scene of the arrest himself, took photos and shot a video. All this resulted in a "not guilty." My husband's license was fully reinstated. We now have our life back. Thank you again, Joe." "STARTING WITH 8 CHARGES, I THINK I CAN LIVE WITH 1 TRAFFIC VIOLATION"
"Considering the terrible facts of my case, the deal that you were able to reach with the district attorney was nothing short of phenomenal. In fact, the judge even had to amend it slightly because it favored me so much! Thanks for representing me. It was well worth the two grand." "NO EXTRA COST THAN YOU PROMISED"
I would like to take this opportunity to thank you for the superb job you did for us. It is a big relief knowing that we can hopefully put this behind us now, and move on in a positive direction. We had no idea whom to call legally. But with your expertise we were able to close the case within a two month period at no extra cost than you promised. We are so pleased with your expertise, it would be our great pleasure to recommend you to friends, family, and strangers alike. "I'M GLAD I DIDN'T TRY TO DO THIS BY MYSELF"
I was arrested Friday and had to be in Court Monday. I called Joe Saturday, he immediately answered, sent me an email with a map to the Court house, where to go, what to say and then met me there as well. Afterwards, he guided me through the process of getting my work license quickly and I am now driving again. Although I consider myself a smart guy, I am very glad I didn’t try to do this by myself. 'ALL THE ACCOLADES ON YOUR WEBSITE ARE TRUE"
I do appreciate all the intense preparation you conducted in preparation for Court and the subsequent finding handed down by the Judge. All the accolades expressed on your website are obviously true and I am gratified that you represented me. "I HAVE BEEN A PROBATION OFFICER FOR 25 YEARS AND HAVE NEVER SEEN ANYONE GET OFF LIKE YOU DID"
"I was pulled over on July 1, called Joe on July 2, he was in Court on July 3 and had already gone to the Registry to get my driving record. That allowed us to settle the case the very first day. I had all moving violations dropped, he saved me 28 days without a license on the RMV breathalyzer suspension and I am now driving again. The whole Probation Office was stunned." "When my first attorney didn't return my repeated phone calls, I called Joe. He answered the phone after 8 PM and I knew right away I wanted to deal with him instead. I couldn't be more pleased with his quick action on my case. JUDGE: "I RESPECT YOUR LAWYER. HE KNOWS WHAT HE'S DOING"
"I was in a panic about an OUI and had a Court appearance the next morning. Joe called me back just 2 minutes after I emailed him - on July 4th no less. Sure enough he met me at the Courthouse the next day and got the best result I could have hoped for and a compliment from the Judge on his professionalism [above]. I totally recommend him." My husband and I can't express enough thanks for keeping our son out of jail. I appreciate all your hard work and effort on his case. I believe he is progressing in the right direction now. AS LONG AS YOU'RE AROUND"
You came to my rescue in Cambridge. I put my best friend in touch with you this morning. He got busted at a roadblock last night. I will be recommending you to anyone I know who gets netted after leaving that bar for as long as you're around. Thanks again. "From the beginning you helped walk me through an extremely difficult time. You clearly outlined my case and gave me a thorough analysis. I appreciated the straight talk. I never felt you were trying to sell me anything, only that you wanted me to make an informed decision. You are the utmost professional. Again, Thank you." "As a veterinarian, I had no idea what a criminal conviction would mean to my professional license. Joe had the case heard on an earlier date so I served no time on my suspension for Breathalyzer refusal and then negotiated a 45 day loss of license and a continued without a finding so no guilty appeared on my record." "When you returned my call at 6 AM, I instinctively knew I would not be alone in this. I watched people's reactions to you in Court -- all seemed in agreement with you. You don't waste time and you're courteous to the point of professional. After all, how often does a Judge compliment a lawyer on the handling of a case as he did you?" "Thank you for representing me in such a professional and expeditious manner in Lawrence District Court. You took what was a very hard personal situation and through your kind attention to my dignity plus the expertise in your field brought me through to a fair and most positive conclusion." - J.S. - Nashua, N.H.
"DON'T HIRE YOUR ESTATE ATTORNEY WHEN YOU NEED A MASSACHUSETTS DRUNK DRIVING DEFENSE LAWYER"
"I wanted to thank you for you for your prompt and thorough legal advice and representation regarding my recent OUI charges. You gave me confidence that I would be able to have the charges dropped to a first offense, and that I would be able to receive a Hardship License within three working days after the disposition of my case. You don't go to an Estate Attorney with OUI problems. You go to an expert, Joe Waldbaum, for the best possible legal representation for these types of legal matters." "I'M GLAD I CALLED JOE TO REPRESENT ME"
"After my first arrest 3 years ago, I hired a lawyer who did not specialize in OUI. I believe he tried only one or two cases. Even though there was barely any evidence against me, I did not have confidence in him at trial so I pleaded out. I regretted hiring him and that's why I did not get an Attorney sooner for this second offense. Thanks for your quick attention to my case. I'm glad I called you to represent me." "I had no idea what effect an OUI conviction would have on my law license but knew the value of specialization in law. I hired Joe, he got me a not guilty and I got my license back the same day of the trial." "Your excellent knowledge of the Mass. DUI law and astute and subjective knowledge of the county judicial system was what worked to protect me and defend my case. I believe without your direct involvement, my case would not have turned out as favorably." "Thank you so much for your help. I felt at ease in Court with the proceedings, mostly due to your work preparing the case and informing me of all the details. I thank whatever lucky stars (or search engine) led me to your site for help. Ideally, I hope I never have any friends or acquaintances that would need your services, but if I do, I will be sure to give you the highest recommendation!" "BEST MASSACHUSETTS DUI ATTORNEY AND THE BEST WEB SITE"
"Your web site is the best in the state for DUI, very accurate, up to date, and the ability to contact some of your previous clients was a great resource. It was your website and being able to call your former clients that sold me on contacting you for representation." "I would like to express my deep appreciation for your extremely effective involvement in my son's case recently. I was most impressed with your frequent telephone calls to give me feedback and update me on the progress of the case. Your expertise and desire to get results for your client are obvious." "Thanks for returning all my calls so promptly after my recent Mass. DUI. All your letters and detailed reports made an otherwise unbearable situation much less stressful." I couldn’t have been happier at the way Joe and attorney James Dunn handled my case. They truly know all the players in the court system and exactly what to do in this practice area. I avoided thousands of dollars of unnecessary expenses. You will be more than pleased with their representation. OK to call me: My name is Rui and my cell number is 774.271.8033. "It was an honor to have you represent me in Court this past Tuesday. I was very pleased with the outcome. You are a very intelligent man and I respect your hard work. If anyone ever needs a DWI Lawyer for a similar situation I will be sure to let them know of your work. My family and I thank you for your help." I spoke with you earlier on the phone today looking for Massachusetts drunk driving defense. Thank you for your time and help. I was so impressed by you and your knowledge and frankness on the phone, and after reading the countless testimonials from your previous clients I would like to hire you if you would be so willing to help me in my case.